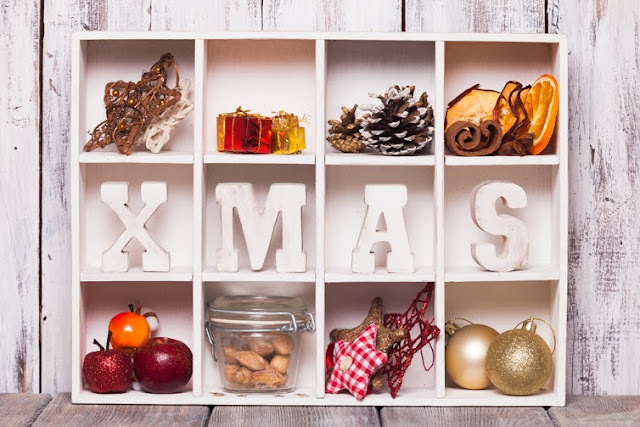 Christmas is just around the corner, and without a doubt, if you’re part of a typical Filipino family, you’ve probably already started decorating your home to get into the holiday spirit. If you don’t have the budget for new ornaments and you’re stuck with old or damaged ones, don’t despair; you can still use them to deck your halls with a bit of creativity. Follow these tips from MyProperty.ph on crafting fresh, new pieces out of these worn but much-loved traditional Yuletide knick-knacks. Adorn a frame. Got Christmas tree ornaments like figurines and balls with missing hooks and strings? 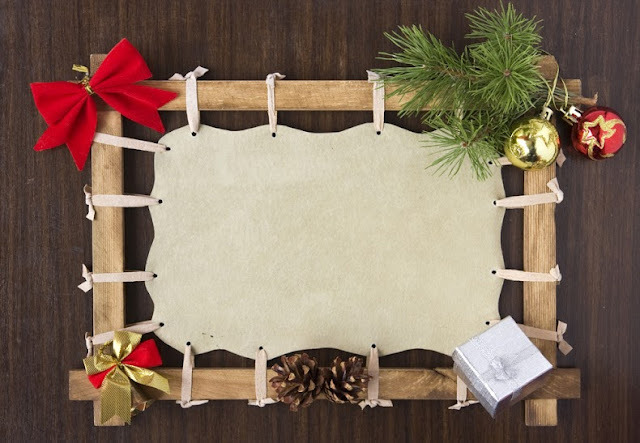 Don’t toss them out; all you need is an old picture frame and a hot glue gun to use them again. Simply stick these ornaments onto the frame and put a picture of your family or any holiday-related image or quote in the frame for a unique wall hanging. If you can’t spare a picture frame, you can do this to a mirror with a frame. Create a wreath. This is the same concept as using decorations to adorn a frame. Only this time, you’re sticking them together to create a circular form that you can hang on any door that needs cheering up. Form a piece of wire into a circle and use it as the base for your wreath so your creation keeps its looped shape as you keep adding ornaments. Use a shadowbox. A shadow box—an enclosed glass-frame case—would be the perfect way to group broken ornaments and put them on display. You can either toss in Christmas balls alone, or keep things varied by also popping in a few toys, figurines, and holiday ribbons.For best results, choose a color scheme to make your shadow box look simple but elegant. For additional appeal, you can also decorate the glass itself using poster paint or Yuletide decals. Create a centerpiece. Is your coffee table looking a bit lonely? 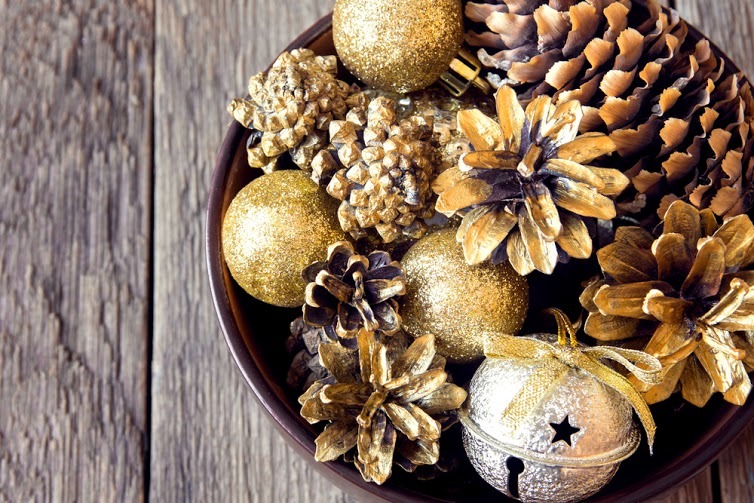 You can quickly put together a centerpiece by throwing old ornaments in a clear glass bowl or platter. You can even make the centerpiece more festive by laying some Christmas lights over and around the ornaments. Just make sure the table is close enough to an available outlet, and that there are no flammable materials in and around the bowl. 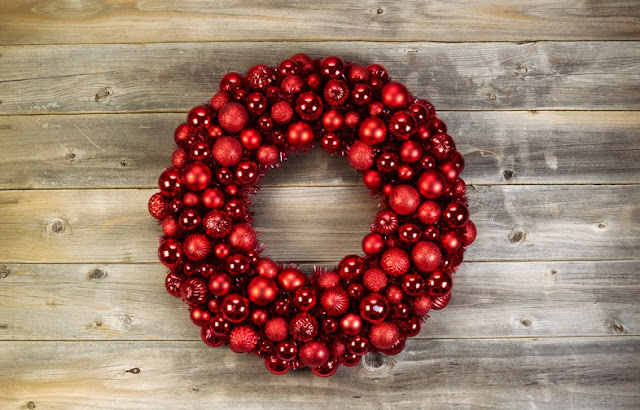 Lay it flat.Instead of hanging your Christmas wreath like you usually do, place it in the middle of the dining room table and place a candle in the hollow middle for a nice lighted centerpiece. If there are parts of the wreath that have lost their evergreen, you can hide these gaps by gluing in—you guessed it—ornaments. Make Christmas topiaries. You know those shrubs you see outside hotels and mansions that are trimmed into geometrical or animal shapes? You can do the same with your broken ornaments. 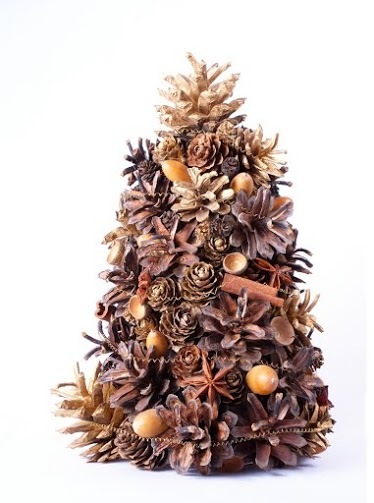 Just glue them together into any figure you want, like an inverted cone for a tiny Christmas tree, or a sphere stuck to a branch or stick (use a Styrofoam cone or ball to keep the ornaments together). Place the arrangement on an available vase or decorative pot, fill the container to keep it stable, add some ribbons and you’re good to go. The best part is, unlike a real topiary, your holiday version won’t need watering. Dress up your old Christmas bulbs. Do you have a string of extra-large Christmas bulbs that won’t light anymore? Collect the bulbs before tossing the string into the trash. 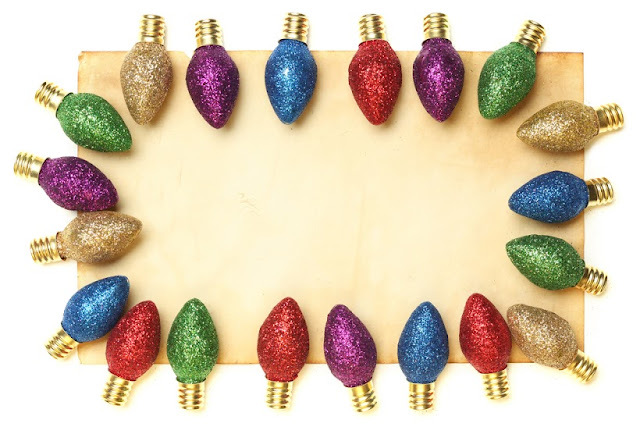 Brush each bulb with glue and roll them one by one in some glitter until each one is completely covered. You can also use poster paint to give them each a bright-hued refresher. There’ll be enough cheer to go around with these newly decorated bulbs since a single string consists of multiple bulbs, so you can actually put them in separate containers and proceed with brightening up any surface of any room. You can also tie a string to each and turn them into Christmas tree ornaments.